Companies looking to be innovative face a conundrum: policies and procedures designed to make them efficient oftentimes stifle innovation. Unlike start-ups which are innovative by design, most organizations believe innovation can only happen by exception or heroic efforts. It is said that entrepreneurs are ordinary people who achieve extraordinary things. How do entrepreneurs succeed in following their dreams, while making them profitable? Discover the struggles and successes of four different business owners in Entrepreneurship: Be Your Own Boss. 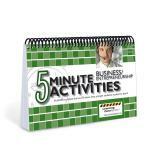 This workbook leads you through the planning and start-up process for your own small business. With clear explanations, examples, exercises, and worksheets. Since many existing business practices inhibit innovation, new organizational designs and managerial approaches must emerge to meet today's new challenges. Have you ever thought of starting your own business? What would you do first? Look for the right location? Talk to your bank manager? Decide if you were going to do it alone, or with others? An interview and behind the scenes footage with Dena Marie Modica, Director of Sales and Marketing for Solera Restaurant and Event Center, gives the audience insight into the career of an event planner. 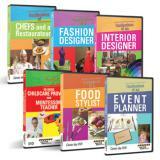 From Carrie's career as a sports nutritionist for professional athletic teams to Tony's career as a public health nutritionist and Barbara's life as a famous food entrepreneur, this career day DVD presents engaging interviews that are sure to excite students. The viewer will learn about a variety of careers from a nutrition consultant, public relations specialist, registered dietitian, food scientist, food stylist, and other food-related professionals. Stanford professors Margaret Neale and George Parker explain two important business aspects, each presented with an enlightening dramatic twist. Negotiating is the art of making better deals. Making the right business deal can turn a small venture into a big one, or it can turn a quiet product into a blockbuster. This classic best-seller guides viewers through the skills that are the keys to negotiating well. This invaluable series helps students understand the importance of knowing and cultivating their interests, strengths, skills, and attitudes so they can be successful in the workplace. Students gain insight into how to successfully navigate in the world of work. The business field will offer 2.2 million new jobs and grow by 14 percent through 2014. Business is also the leading academic major among college students. Yet, most job seekers, career changers, and new college grads are not completely aware of the opportunities that await them. 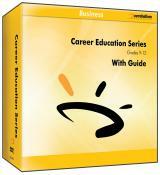 Business CareerVision Book and DVD educates readers about 80 promising business careers through detailed job descriptions and rankings and behind-the-scenes videos about the occupations. Great organizations start with great ideas, but they are sustained only through the dedication and passion of great people. Why do some succeed while others fail? It starts with eliminating excuses, eradicating justifications and taking personal accountability for choices, actions and results. 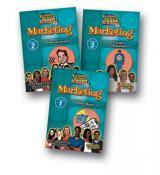 In this fast-paced, entertaining, and idea-loaded program, you’ll learn dozens of innovative tactics for selling and marketing your products and services more effectively than ever before. You’ll hear clever stories loaded with insights, ideas, and humor. And finally you’ll be reminded of some of the most important sales basics that many of us tend to forget. The Standard Deviants will show you the ins and outs on sealing a deal. You'll come face to face with offers, counter offers, and withdrawing offers, not to mention incompetent drywallers, delusionary bigwigs and a dog dressed up as a turtle. The new frontier is Value-Based Leadership (VBL), which looks to the future rather than the past, addressing growth, innovation and entrepreneurship. In this content-rich training seminar, highly acclaimed business speaker Brian Tracy shows how to apply battle-proven methods to achieve victory in the world of business. He draws on powerful success strategies used by famous military and business leaders throughout history. 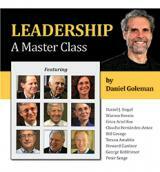 Leadership: A Master Class, examines the best practices of top-performing executives. The collection offers more than nine hours of research findings, case studies and valuable industry expertise through in-depth interviews with respected leaders in executive management, leadership development, organizational research, workplace psychology, innovation, negotiation and senior hiring.